How serious are paintball bruises? How long can they last? Many players ask about them. Before understanding how long you may have them, we’ll teach you to treat them, which should be done as soon as the game is over, in order that healing will be enhanced. It’s also important to understand the ways to avoid getting bruises when you have paintball games. Paintball is a blast, but it does cause a lot of bruises. There is a story behind each bruise. They’re like war wounds. The stories can be told in photographs, too. Here are a couple samples of the types of bruises you can get playing paintball. The stories behind bruises from paintball go from getting zinged by lucky shots to being outgunned. Most of the bruises you get will fade away, in time, as most bruises do. Some will take weeks, while others take months. Some even form scars. While you’re paint-balling, you want to avoid as many bruises as you can. This isn’t always possible, and some players even end up with serious bruises. If you get one of these, we have options on how they can best be treated. Bruises result when blood pools under your skin. 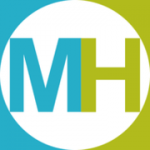 Treatment methods must have as their goal helping your body heal. There are numerous ways to do this. They help in the regeneration of cells, which gets rid of bruises. As soon as the game is over, and you’re checking out your bruises, apply ice to the serious ones. This will lessen swelling and help reduce the bruise’s visibility. Always put the ice in a towel or clean cloth, so it doesn’t give your skin ice-burn. You can use cold compresses for 15 minutes each hour. It will help you get rid of burning sensations and itching, too. After you got those bruises, and you’ve used cold compresses for a day, it’s time to switch to warm compresses. They can be wet or dry. Wet compresses are believed to provide best results. Dip a cloth in warm water and then press it gently against your bruise. As you do this, pooled blood will be dispersed and your blood circulation will improve. Bruises respond well to vitamin K. You get some in foods, but it’s usually not enough to help heal bruises. Vitamin K creams can help bruises to heal. It can be purchased at your local drugstore. Use the package directions for bruises. These salts relax your muscles and reduce pain from bruises. Just run a tub of warm water – not too hot – and add Epsom salts. Soak in the tub as long as the water temperature is comfortable, allowing it to ease the pain and relax your body. If you’d prefer to get rid of your bruises in a more natural way, that can be done, too. Fresh potato peels or banana peels can be applied over the bruise. Rub the peels on the bruised area. You can even use Band aids® to secure the peels to the bruise and change them two times a day. How Long will Paintball Bruises be Visible? If you’ve not played paintball much, you may wonder how long these bruises will last. When paintballs hit your skin, they cause the trauma that results in bruising. It will take time before the bruises fade, and this time varies, depending on the extent of your bruising. You need to wear protective clothing when you play paintball. Otherwise, you’ll receive bruising that is more severe. The protective clothing keeps the balls from injuring the skin more deeply. If you don’t have the proper protection for paintball, you’ll suffer more bruises, and more serious bruises. Those will take longer to heal. Vulnerability to bruising is something that also affects the extent of your injuries. If you get bruised more easily, you may attain more severe damage when you play. This means it will take you longer to heal. Healing time may also be affected by the location of the bruise. Bruises on your ribs, neck or buttocks will take longer to heal than bruises on other areas of your body. 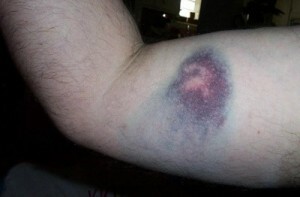 Since there are so many variables in paintball bruises, it’s difficult to narrow down how long they can take to fade. It can actually take days, weeks or months. Some bad bruises can be so severe that they leave scars on your body. 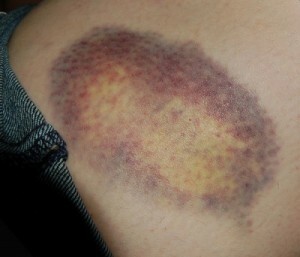 Bruises from paintball games are easy to get, but they can be avoided, to a degree. There are numerous interventions that help in protecting you while you play. We’ll discuss these below. See what you think! Wear the proper protective gear whenever you engage in paintball games. They protect your skin, too. Be sure to wear long pants, a long sleeved shirt and boots. Overalls on top will work well, too. If you tend to bruise easily, dress in layers beneath your protective paintball gear. Always keep your helmet on during the battle, too. Be sure to wear protective goggles, so that you will not receive damage to your eyes. Make use of all the obstacles available in the paintball game area. This will avoid some of the hits you will otherwise get from paintballs. The smarter you play, and the more effectively you use your offense as well as defense, the more people you can shoot while getting shot the fewest times yourself. This VIDEO shows injuries received during paintball games. You are welcome! Good luck, Myrna Warren and thanks for commenting!